The Ridge and Manorville Fire Departments in collaboration with the Central Pine Barrens Commission and other municipal, state and federal land management agencies are developing a Community Wildfire Protection Plan (CWPP) for the Ridge, Manorville, and Calverton communities that are located within the Central Pine Barrens area. The Central Pine Barrens area has been identified as the area with the greatest potential risk for damage to and loss of property from wildland fire in all of New York State. Unlike many natural disasters, most wildfires are caused by people—and can be prevented by people, too. Meteorologists are not yet able to forecast wildfire outbreaks, so people in fire-prone areas should plan ahead and prepare to evacuate with little notice. Here are some tips on how to prevent wildfires and what to do if you're caught in the middle of one. 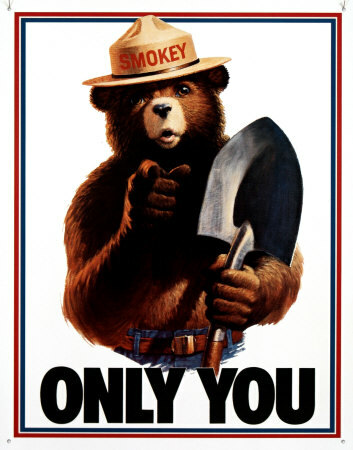 • Contact 911, your local fire department, or the park service if you notice an unattended or out-of-control fire. • Never leave a campfire unattended. Completely extinguish the fire—by dousing it with water and stirring the ashes until cold—before sleeping or leaving the campsite. • When camping, take care when using and fueling lanterns, stoves, and heaters. Make sure lighting and heating devices are cool before refueling. Avoid spilling flammable liquids and store fuel away from appliances. • Do not discard cigarettes, matches, and smoking materials from moving vehicles, or anywhere on park grounds. Be certain to completely extinguish cigarettes before disposing of them. • Follow local ordinances when burning yard waste. Avoid backyard burning in windy conditions, and keep a shovel, water, and fire retardant nearby to keep fires in check. Remove all flammables from yard when burning. • If advised to evacuate, do so immediately. • Know your evacuation route ahead of time and prepare an evacuation checklist and emergency supplies. • Wear protective clothing and footwear to protect yourself from flying sparks and ashes. • Remove combustibles, including firewood, yard waste, barbecue grills, and fuel cans, from your yard. • Close all windows, vents, and doors to prevent a draft. • Shut off natural gas, propane, or fuel oil supplies. • Fill any large vessels—pools, hot tubs, garbage cans, or tubs—with water to slow or discourage fire. • Don't try to outrun the blaze. Instead, look for a body of water such as a pond or river to crouch in. • If there is no water nearby, find a depressed, cleared area with little vegetation, lie low to the ground, and cover your body with wet clothing, a blanket, or soil. Stay low and covered until the fire passes. • Protect your lungs by breathing air closest to the ground, through a moist cloth, if possible, to avoid inhaling smoke. LEARN WHAT YOU CAN DO TO BE FIREWISE! HOW WAS THIS HOME ABLE TO SURVIVE A WILDFIRE WHEN OTHERS WERE COMPLETELY DESTROYED? Surrounded by burnt brush and trees, the house shown above still stands, Aug. 15, 2012 after surviving a wildfire a day earlier, near Cle Elum, Wash.